Holy NYC Cosmetics!! I recently received a huge amount of NYC products to sample and was blown away by how much they sent me! I had never tried anything by this company before and it's a super affordable drugstore brand, so I was very excited to see what they had to offer. I haven't tried everything yet (far from it in fact!) 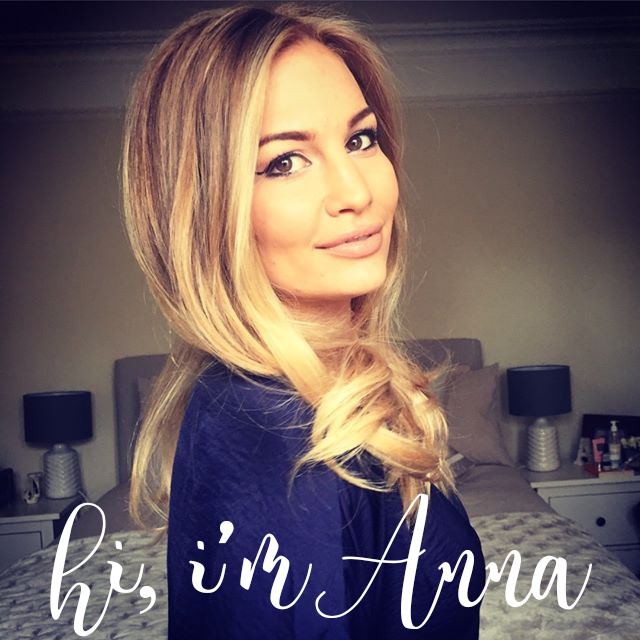 and I expect it will take me months to get through everything but I wanted to share with you my first reactions to the products! An amazing price for a foundation! I haven't tried this yet, and worry it may be too light for my skin now as we're moving into the summer months. But I will keep you updated! 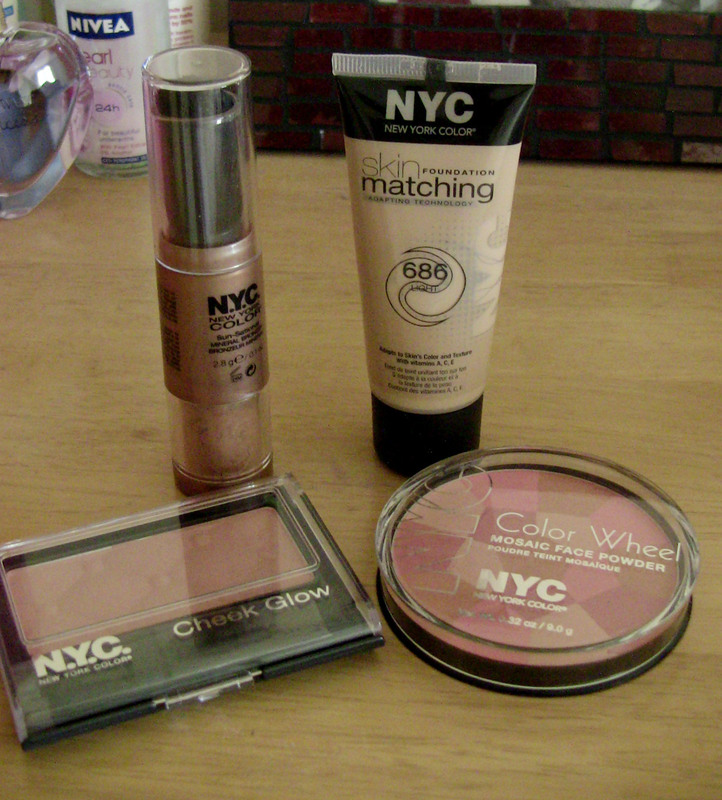 I had already heard a lot of great things about the NYC colour wheels so it came as no surprise to me that this is one of my favourite products. I wore this to the Cork meet-up on Saturday and I love it. 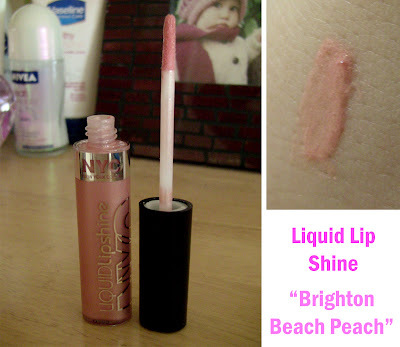 In the swatch it looks more pink but on my cheeks it looks more peachy pink! It lasts all day and gives me a really fresh and awake look! I can't say I'm too impressed with this. 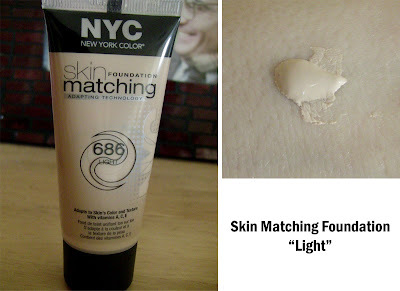 It's very light and you can see from the swatch that it barely shows up on the skin...and this was after a few layers of product! 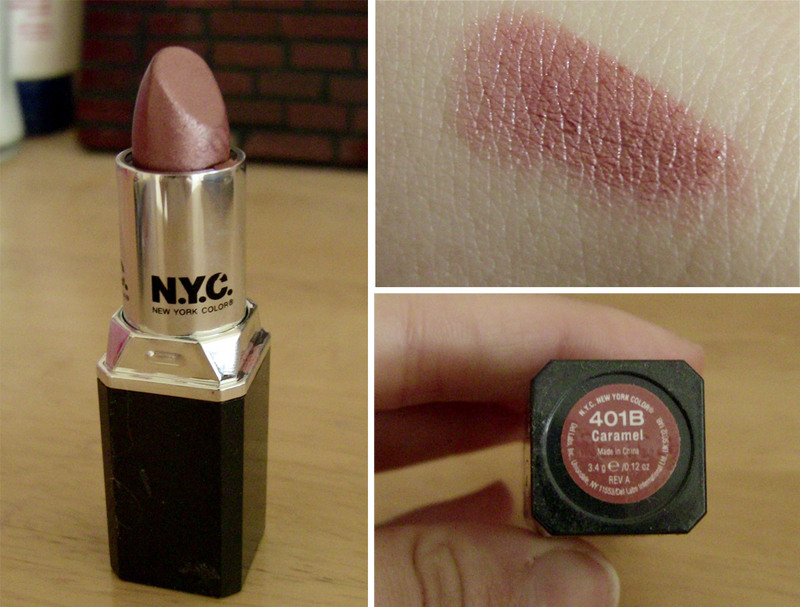 It reminds me of the Maybelline Expertwear blush in Dusty Rose. 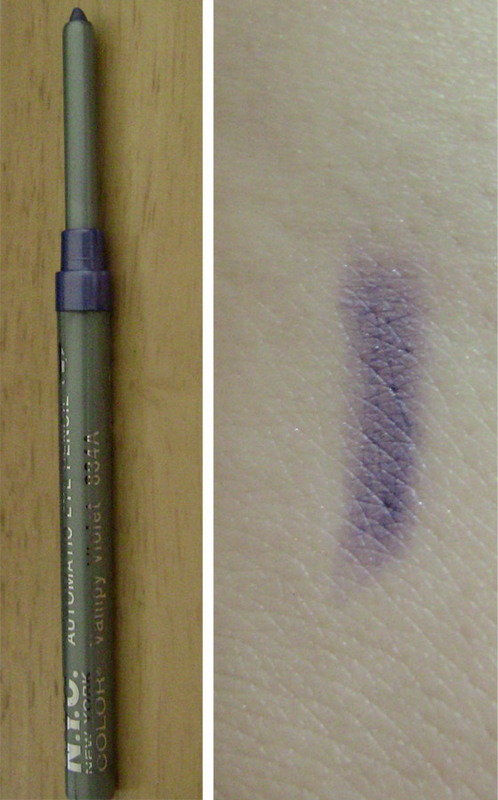 Not pigmented, very light and more like a wash of colour. I do like the "cushion" effect of the packaging though! 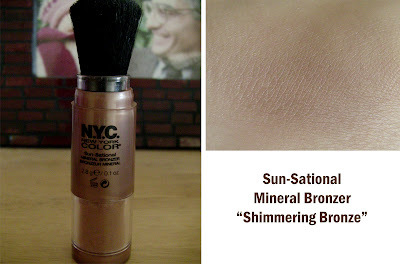 I absolutely love bronzers so I wanted this to be one of my favourites! I do think the packaging is quite a good idea for on-the-go makeup application, in that you can pop it into your purse and it's a bronzer and brush all in one. However, the brush isn't great quality and the fact that the powder comes up through the bottom of it creates a slightly patchy application. Having said that, the bronzer itself gives a beautiful sunkissed glow. I just think I'll be using this with my own brushes instead. 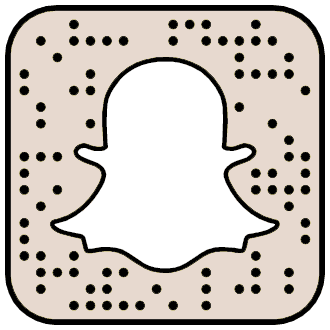 I literally grabbed this while running out the door to the Cork meet-up on Saturday and never looked back! I haven't stopped wearing it since...I love this! It's a really gorgeous shimmery peachy gold gloss, which tastes like dessert :) Yum! 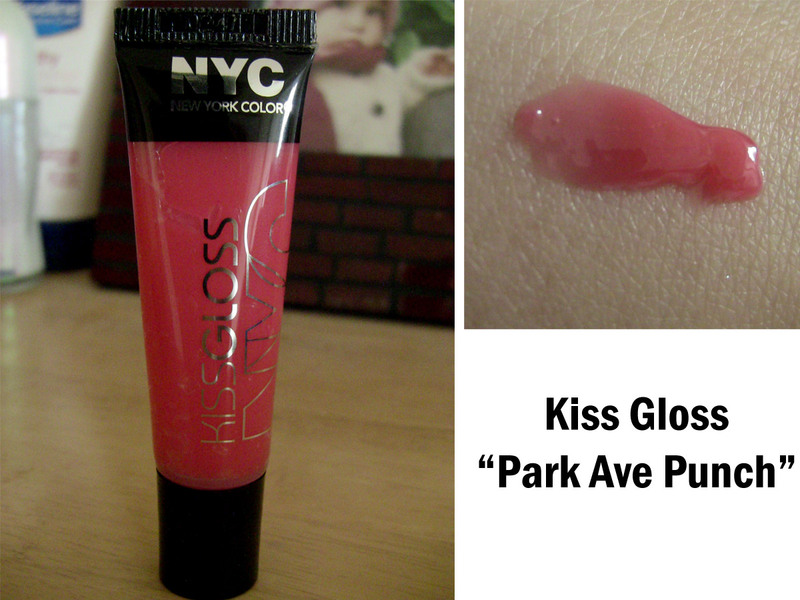 A jelly gloss in a bright watermelon colour. 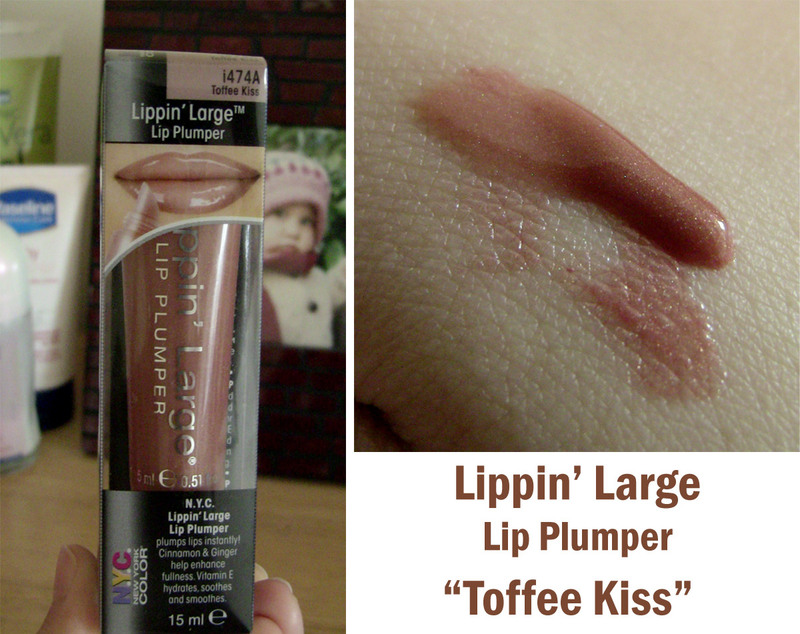 Whether this actually plumps the lips or not, it sure feels like it does! This is minty and tingly on the lips and the colour is luscious! These are absolutely amazing! (Click on the picture to enlarge) I wore the champagne colour all over my lids on Saturday and it stayed on all day and gave a gorgeous iridescent effect. These have the cutest little brushes that come with the product and you get a lot of shadow inside! 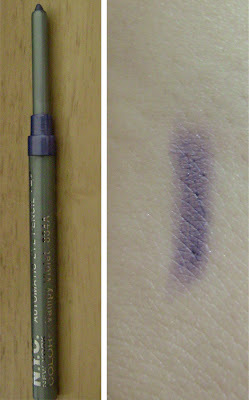 The opal sparkle has the most amazing different coloured sparkles in it and both are very pigmented and long-lasting. I really couldn't be happier with these! I actually wore this all day today and I love it. 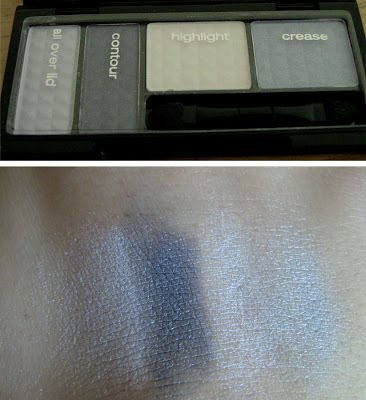 The pigmentation is A+ and I love how you can swirl all the colours together to get a nice bronzey all-over shadow. This lasted all day, didn't crease and was worn without primer! I have not worn these yet but was a little disappointed when I swatched them today, especially with Manhattan Gaze (blue). 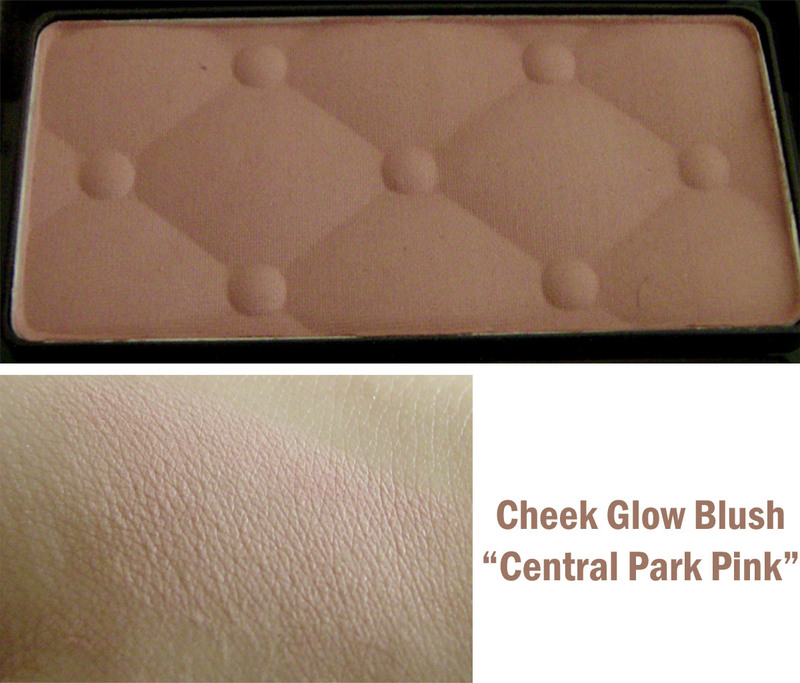 The pigmentation was poor and I had to layer it a few times to get a decent colour pay-off. It also felt quite chalky on the skin. 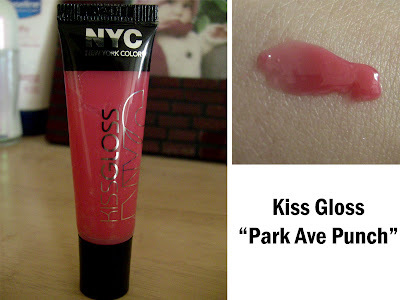 5th Avenue was more pigmented, I think because it has a little bit of shimmer to it which holds it in place better. 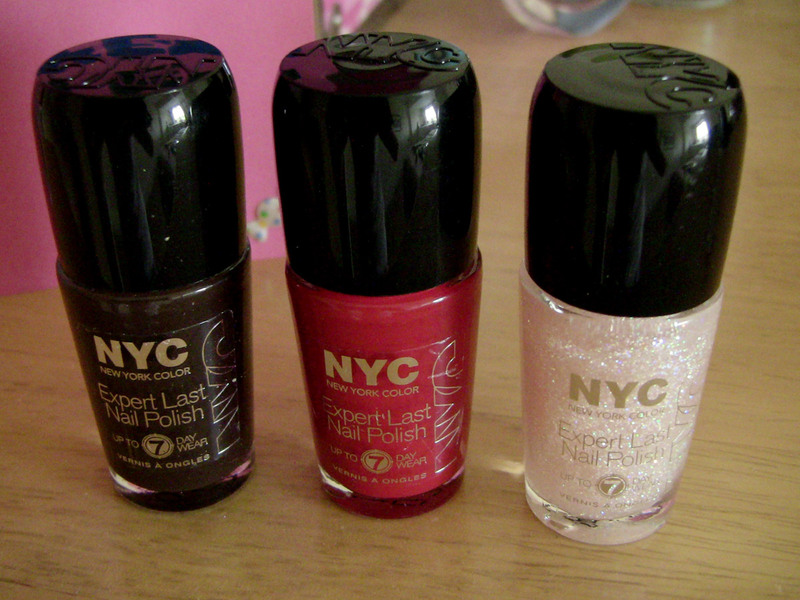 Overall though, I'm not super impressed so far but I will have to try them properly to make my mind up! 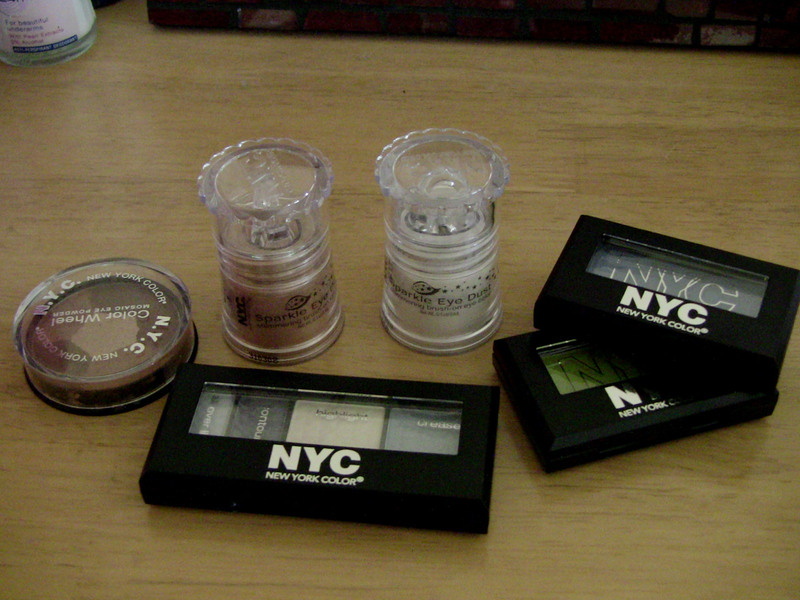 I like how this comes with a mini "tutorial" inside the packaging, which tells you where to apply the shadows. 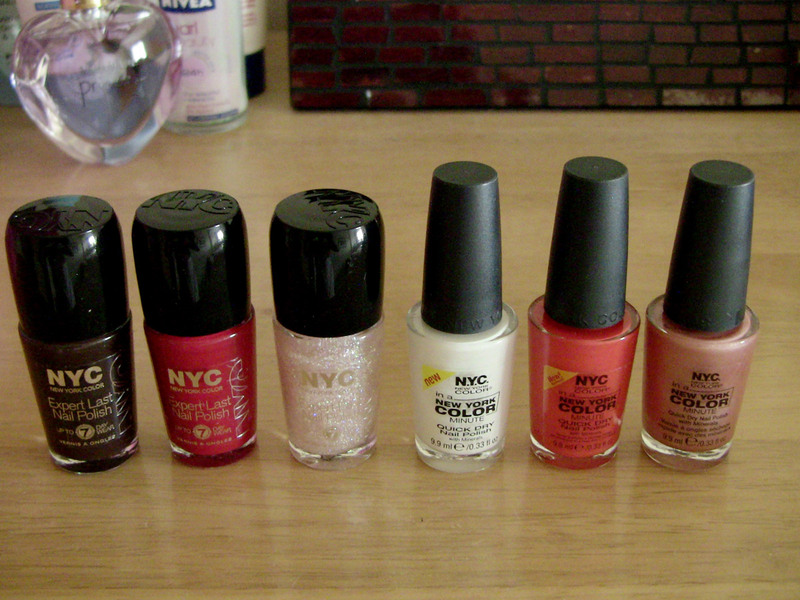 I am also excited to wear more blues since I have brown eyes, and these look like quite pretty shades. 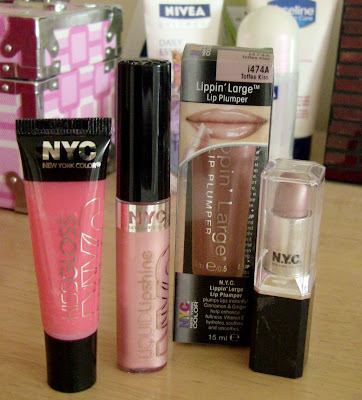 I must admit the crease colour was not very pigmented but aside from that they seem to be good quality. I can't wait to try a look with these! 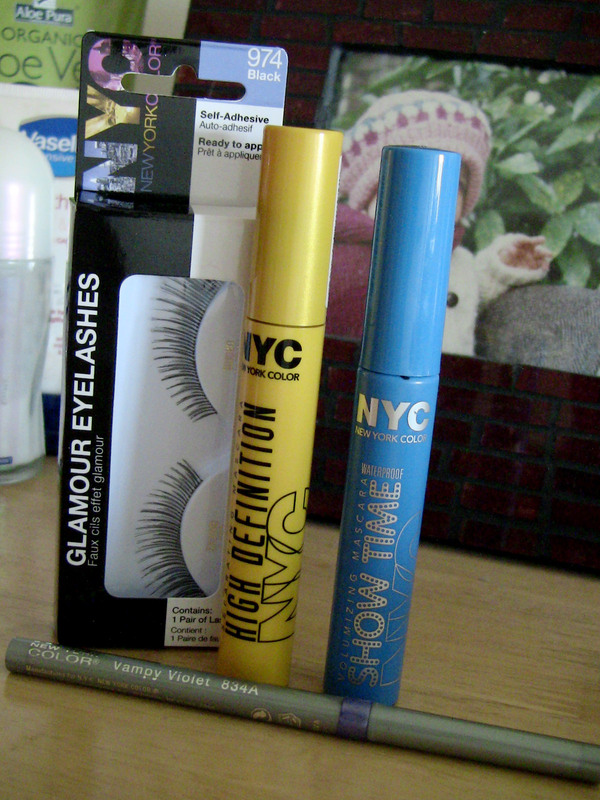 I haven't tried either one of these yet but I am most looking forward to using the volumising one! The fat brush and thicker consistency appeals to me a lot as I love full, volumised lashes! This didn't swatch particularly well, however I haven't worn it on my eyes yet. 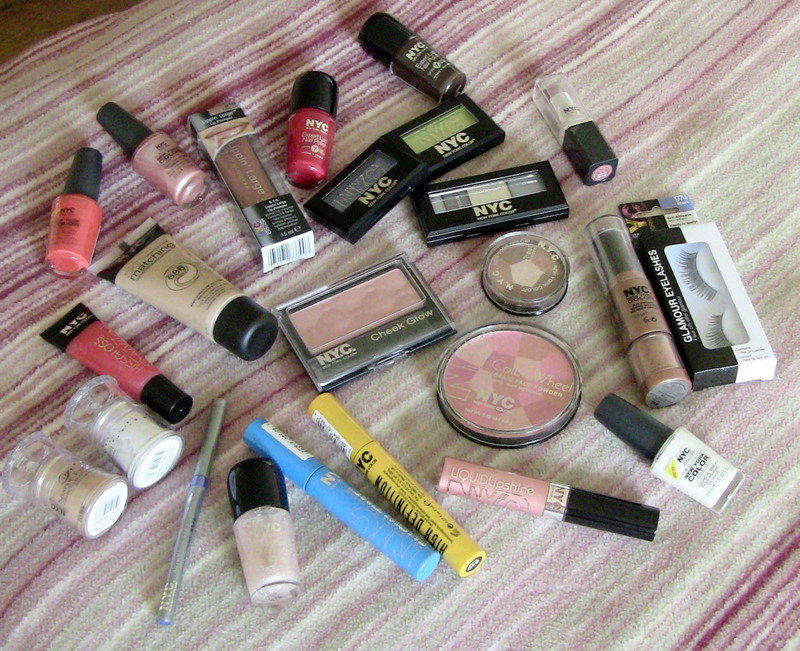 It didn't appear very pigmented and the colour is not as bright as I expected. 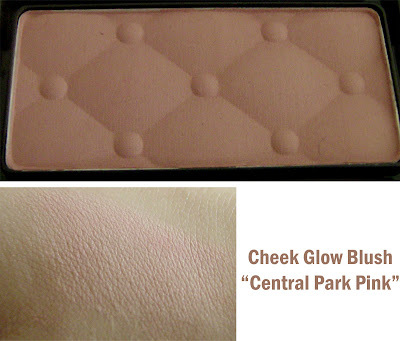 But I will be wearing this on the lower lashline to create a pop of colour in a neutral look. I'm keen try these out as they claim to last up to 7 days which is perfect for lazies like me! These also appeal to the lazybones in me as they dry very quickly! 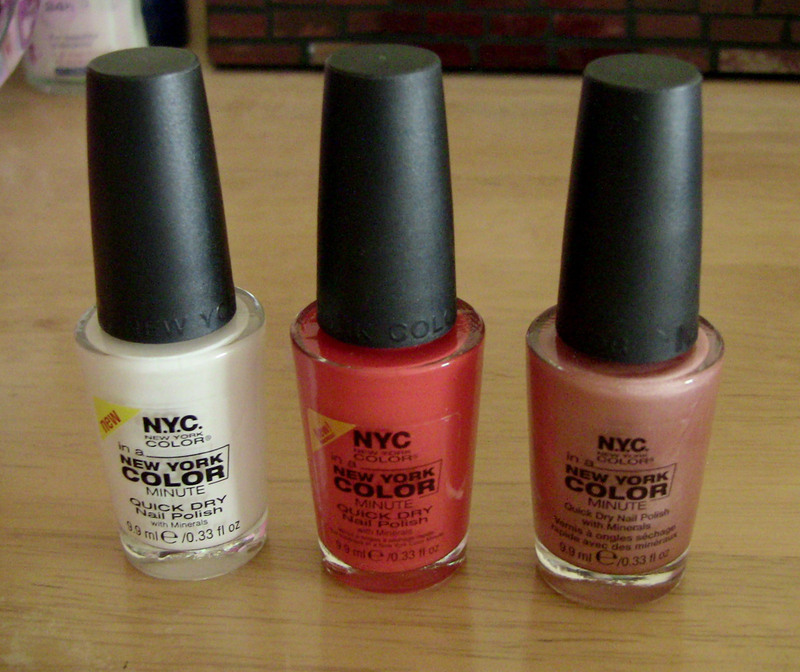 If you live in Ireland, NYC Cosmetics can be purchased from Sam McCauley's and selected pharmacies.